my students have always difficulties about to be to have ı prepared this exercises for my students, they practise to be and to have with personal pronouns. 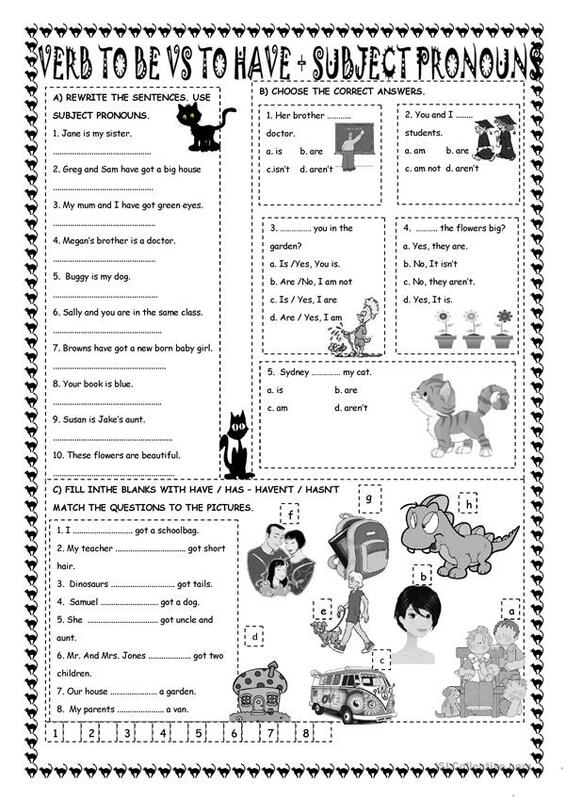 this worksheet is fully editable, hope you'll enjoy it. The present downloadable printable is recommended for high school students, elementary school students and adults at Beginner (pre-A1) and Elementary (A1) level. 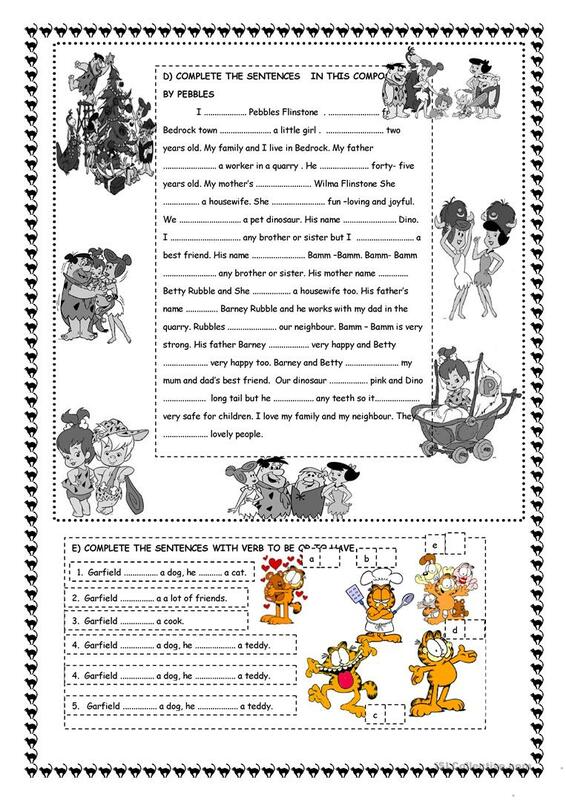 It is a useful material for consolidating Verb tenses in English, and was designed for developing your students' Writing skills. You will find the answers at the end of the worksheet.